A Plastic Free Food Shop: What are the challenges customers face? What are the barriers to a Plastic Free Food shop? We hear from SAS supporter Nathalie Swain-Diaz (@Nat_Nature) about the cost differences she is finding between packaged and loose groceries in our supermarkets, and just how hard it is to complete a Plastic Free Food Shop. 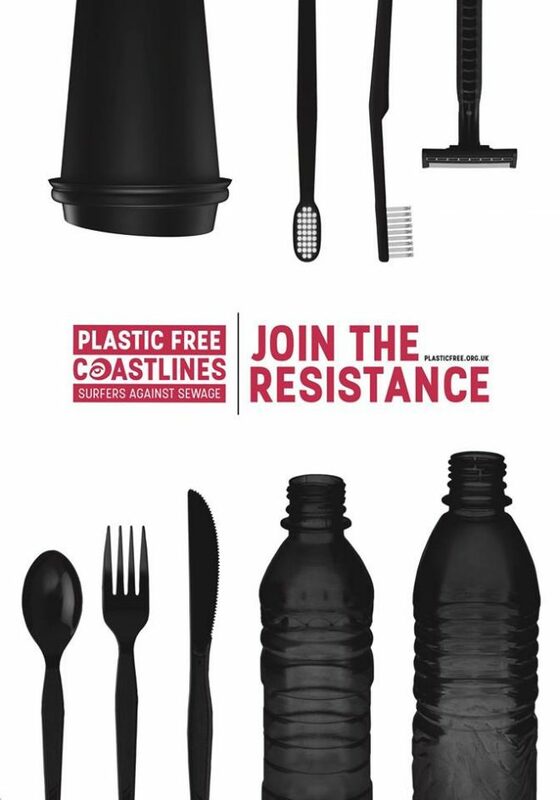 The silent barrier to cutting down plastic. It seems the world is beginning to wake up to the impact of plastic. Viral videos of animals tangled in debris and recent heartbreaking footage from Blue Planet II have awakened a desire in the general public to do something about the deteriorating state of our oceans. And whilst it is great that people are becoming aware of the problems related to plastic pollution, the reality is that many people will struggle to cut it out of their lives. I’ve got the basics of cutting down to a T – I carry a KeepCup, use shampoo bars instead of bottles, ask for strawless drinks if I’m out and bring a homemade lunch to the office most days. I use paper stemmed cotton buds and a cotton shopper, and I always use a refillable water bottle – but I can’t say I’ve gotten rid of this pervasive material altogether. I’ve successfully done Plastic-Free months the past two years, and it upsets me and makes me feel incredibly guilty that I can’t seem to sustain it for much longer. The reasons why are even more frustrating: both times, I went way over budget and spent a lot more time searching to find alternatives. It is incredibly disheartening that my personal barriers to living plastic-free seem to be time and money. I’m working hard to pay off student loans, cover my rent and living costs, and especially now in the run-up to Christmas, I’m trying to keep expenses down. This means I need to keep a close eye on what I spend at the supermarket and choose the cheapest possible options whilst still trying to maintain a healthy diet. I don’t have a car, which instantly limits the shops available to me, and living in a city means that my food shop nearly always comes from a supermarket where, you guessed it, everything is wrapped in plastic. And here is where the problem lies. My situation is by no means unique, and more often than not, the plastic wrapped options at supermarkets are cheaper than loose options. 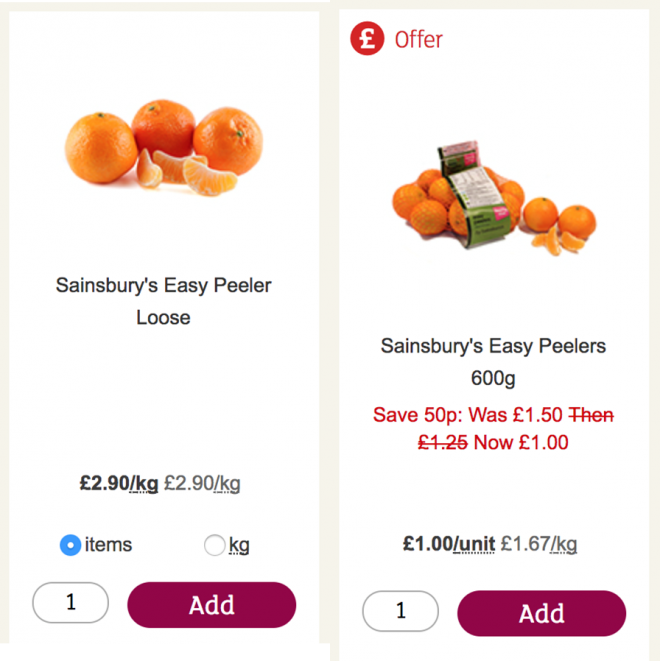 Let’s look at three staples of my weekly shop… Loose satsumas at Sainsbury’s would cost me £2.90/kg whilst a plastic-wrapped pack would set me back £1.67/kg (Prices correct at time of writing and discrepancies like these are common at most supermarkets, not just the one mentioned). I could buy a paper wrapped loaf of bread from a bakery for £3 or spend £1 on the equivalent, wrapped in plastic. And a single loose bell pepper could cost me 50p, or I could pay £1 for a plastic wrapped pack of three. Loose Easy Peelers: £1.23 more expensive per kilogram than the packaged offer. Those differences might not seem like much, but if you consider everything you would buy in the average weekly shop, it starts adding up quickly. For me at least, it soon becomes unaffordable and unsustainable. What’s worse is that a lot of the packaging, especially for fresh fruit and veg, is non-recyclable. Plus there are other things to consider, such as the monumental amount of food waste in the UK. Could I justify buying discounted fruit or veg wrapped in plastic if it means that it is saved from going to landfill whilst still perfectly edible? With the majority of the UK population living in cities and undoubtedly doing their food shop at a supermarket, it seems apparent to me that the solution to many of our plastic woes may lie with them. Even with the best of intentions, many people may find themselves bound by tight financial pressures and plastic wrapped options simply make sense from this perspective, taking immediate priority. If we are to truly change our ways as a society, we need to have viable, cheaper alternatives available, and in my opinion, this has to start with the main suppliers. It seems absolutely bonkers to me that you can save money by buying items with an extra material included in the price – surely they should cost more than loose items? On top of this, in a league of their own is the #PointlessPlastic found in many of the big chains – one quick search on twitter brings up plastic-wrapped orange segments or individually packaged muffins… the plastic is completely redundant and these need to be the first to go. Whilst plastic free grocery shops do exist, they are still few and far between and from personal experience, come at a bit of a premium. The onus, therefore, in my opinion, should be on the supermarkets to make plastic-free options more widely available. This is why I welcome the plans for a bottle deposit scheme, which the Co-Op and Iceland have recently backed publicly. It’s not the solution by any means, but it’s a start. The next step in the fight against single use plastic is for supermarkets to lead the way, and I’d implore all of the UK’s leading grocers to consider ways of making plastic free alternatives a financially sensible option for their loyal shoppers. As with the charge for plastic bags, maybe targeting people’s wallets is the incentive people need to make a more permanent change. « 2017 – Our Year in Review!